GMO--Genetically Modified Organism or Getting Massively Obese? Now that genetically modified organism (GMO) foods have been busted as far as the false promise that they are the way to end world hunger (they don’t increase yields or create more nutritious crops) and instead are basically Roundup® on a plate, a quiet shift has taken place that ensures these creepy crops can generate enormous profits. Because they’ve found their niche--in processed and junk foods! But alas, the truth is starting to trickle out about these lab monsters, proving once again that it’s not nice to fool Mother Nature. Currently, the most widely-produced GMO crops in the US are corn, soy, and wheat. But it’s not likely that you will see GMO ears of corn in the produce section of your local grocery store. 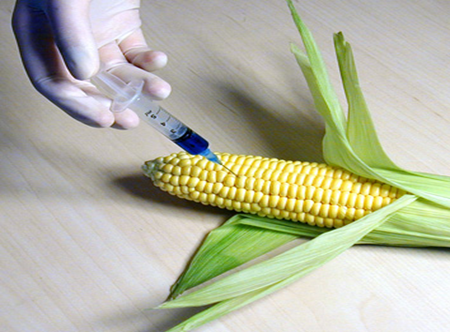 Instead, GMO corn is primarily used to make high fructose corn syrup—which is in virtually every processed food on the planet, and especially in soda. GMO corn and wheat are used in snack chips and crackers. Plus GMO corn and soy are used to make corn oil and soybean oil—the two most common types of oils used in processed foods. On a bottle of Heinz® Ketchup the label will show only: Tomato concentrate from red ripe tomatoes, distilled vinegar, high fructose corn syrup, corn syrup, salt, spice, onion powder and natural flavoring. It remains largely unknown what the long-term health effects of GMO crops will be. Since GMOs are created by splicing DNA between unrelated species, crossing entire kingdoms of organisms (plant and animal, including viruses and bacteria--yuck), who knows what the foreign proteins from these lab creations will do to our bodies in the long run? Personally, I’d feel safer eating an old shoe. But one thing studies are showing is that GMO crops contribute to weight gain, over and above that which would be expected from eating a lot of processed and junk food. In one study examining the potential health effects of GMOs, researchers from Norway observed two groups of rats--one group was given food made with GMO corn and the other was given food made with conventional corn. Over the course of 90 days, the rats eating the GMO corn diet grew fatter and consumed more food than the rats on the non-GMO diet. They also observed that rats got fatter when they ate fish that had been raised on GMO corn--so there's a chain reaction effect! They also tried the experiment on salmon and saw similar results--fish eating GMO corn grew faster and ate more than fish eating non-GMO corn. Plus the salmon eating the GMO corn had a reduced ability to digest proteins and experienced immune system changes that didn't occur in the non-GMO-fed fish. Now, I know people are not rats and fish, but look around you—last I checked, our obesity rate is going up, not down, plus autoimmune diseases and food sensitivities are exploding. 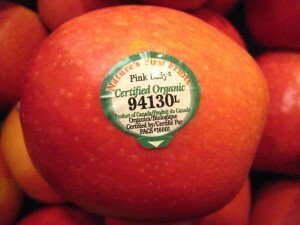 Unless a packaged food is 100 percent organic, you should assume it has GMO ingredients. The answer here is easy—stick to real foods and avoid the packaged stuff as much as possible. Organic foods by definition do not contain GMO ingredients, so if you want snack chips, cereals or other packaged foods, at least opt for organic brands. Also try to buy as much organic meat, milk and produce as possible—to not only minimize your exposure to GMOs but also hormones, antibiotics, pesticides, and herbicides. If you're on a tight budget and can't afford to go 100 percent organic, here is a good rule of thumb: If you are going to be eating the entire food, skin included (like with grapes, peppers or lettuce), strive to buy organic. If you will be peeling the food (such as with bananas, avocado or oranges) conventional is probably OK.
Also, check out local farmer’s markets and Community Supported Agriculture (CSA) programs in your area. Unless you’ve been diligent about eating 100 percent organic food, chances are excellent your gut bacteria may have already taken a harmful hit from GMOs because of the glyphosate (Roundup®) that they are sprayed with destroys your friendly flora. In addition to a healthy diet of real foods, supplementation with a top-quality probiotic can help your gut bacteria bounce back and provide their sickness and disease-fighting protection. Remember YOU alone are responsible for your health--not biotech companies and food companies. Don't offer yourself up as a guinea pig, jeopardizing your health while you help to grow their bottom lines. When it comes to real health, natural is always best. When the average person hears the words “digestive problems” visions of gas, heartburn and belching come to mind. But sometimes digestive issues don’t manifest themselves as digestive symptoms! Instead, they can come out as something totally different that you would never associate to your GI tract. Believe it or not, the same bacteria that causes ulcers (Helicobacter pylori) can cause bad breath. About half of all Americans carry H. pylori. While they won’t all develop ulcers, they stand at least a 1 in 10 chance of it causing bad breath. In addition, intestinal dysbiosis (having an imbalance of gut flora that favors harmful bacteria) can also come out as halitosis. Nothing the human body does demands more energy than digestion. So if yours isn’t going along so well, that can sap your energy and leave you needing toothpicks to keep your eyelids open after eating. Your body expels toxins through urination, bowel movements, exhaling, sneezing and sweating. One of the biggest source of inner toxin buildup is inadequately digested food, so if your digestion is not what it should be, that can be coming out through your skin when you sweat and causing some serious BO. Your skin and hair need a variety of nutrients including biotin, vitamins D, B6, C and E, zinc and omega-3 essential fatty acids. So the presence of dry skin or hair can suggest either an unhealthy diet or inadequate absorption of nutrients—a consequence of poor digestion. 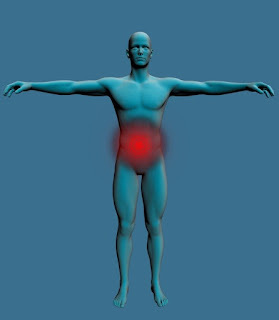 When your intestinal wall is unhealthy and too porous (leaky gut), harmful bacteria, poorly digested food molecules and other wastes can get into circulation and stir up inflammation anywhere in your body. When your skin is affected by this inflammation, it can prompt acne and other skin problems like hives and rashes. These too are tied to a leaky gut wall—the inflammation caused by toxins in your bloodstream can lead to body aches and pains. When your digestion is not efficient, inadequately digested food particles can bully their way into your bloodstream, aggravate your immune system, and trigger the development of food sensitivities. 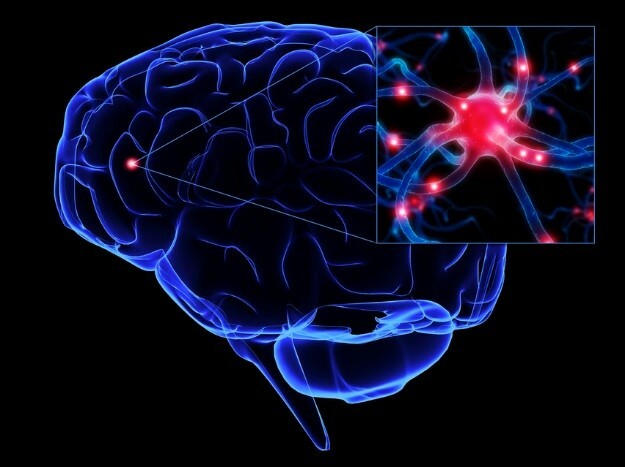 Low serotonin levels have been linked to migraines. Most people don’t realize this, but the beneficial bacteria in your gut produce 80 percent of your body's serotonin. So if your intestinal flora balance is not as healthy as it should be, this could mean your body is low in serotonin which in turn could be contributing to your migraine attacks. Just like migraines, depression can also be the result of low serotonin levels. So if your gut isn’t cranking out enough, it may be affecting your state of mind. In addition, inadequate nutrient absorption can be a cause--many people who suffer from depression are deficient in B-complex vitamins, vitamin C, zinc, magnesium and omega-3 essential fatty acids (especially DHA). Gastrointestinal blood loss (such as from an ulcer) is one of the most common causes of iron deficiency. In addition, insufficient stomach acid can lead to poor digestion and nutrient absorption, thus reducing iron levels. Now that you can see that issues with your digestive system can cause problems that go WAY beyond just stomach aches or constipation, it’s increasingly important to make sure all 30 feet of your GI tract is in tip-top shape and working the way it’s supposed to! Eat real food! If you don’t know what an ingredient is on a food package, neither does your body. So your poor GI tract has to deal with the mess until it passes the chemicals, preservatives and heaven-knows-what-else on to your liver and kidneys to detox out of you. Take a daily probiotic supplement. The fact is, very few people get enough natural sources of probiotics like fermented foods, so just about everybody can benefit from a daily dose of friendly gut bacteria. Probiotics are especially helpful with gas, constipation, leaky gut and harmful bacteria overgrowth. Supplement with digestives enzymes if necessary. As we age, our ability to produce enzymes diminishes. Plus if you use acid reducers, you’re shutting some of yours right down, and may be paying the price with heartburn and poor nutrient absorption. Make its job easier with simpler meals. Both proteins and starches are very concentrated foods, so eating both at the same meal is enormously taxing on your body. Combine proteins OR starches with lots of veggies for an easier digestive process. Compensate for poor nutrient absorption. A multi-vitamin and mineral formula can pinch hit where your body may be lacking, and a top-notch fish oil formula can help ensure you’re getting enough precious anti-inflammatory omega-3 essential fatty acids.